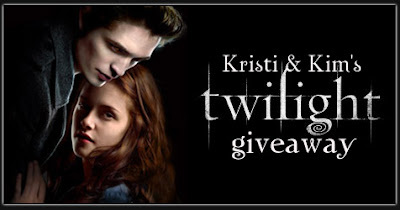 To enter the Twilight Giveaway, for a chance to win your very own New Moon DVD, all you have to do is be a follower of my blog and Kristi's blog. AND. You must comment here and here. And to enter the Twilight Contest, for a chance to win a $20 B&N Gift Card, $10 Starbucks Gift Card, a Kristen Stewart & Robert Pattinson autographed Twilight photo, among other prizes, all you have to do is WRITE something Twilight inspired (it can be ANYTHING) and email it to us at Kimlfranklin@gmail.com . The contest & giveaway ends at 11:59PM CST today! Can't wait to see who wins. Have a great weekend! I finally entered!!! Hope it's not to weird for you :~) and I am sooo excited to see who wins (and the winning entry etc). Also who win's the giveaway?! OMG I might have to go sit in a dark room for a while, I'M THAT EXCITED! Anyway, I have an award for you over on my blog :~) Because I think you're aces. I can't believe I missed your giveaway! 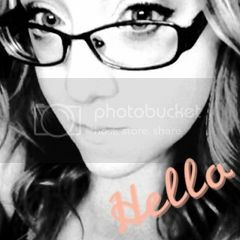 I've been on vacation and just got back to blogging today. I did buy the New Moon DVD yesterday and have already watched it, though. Tag...you're it! I wish I could link my blog to this comment, but I'm not that technologically savvy - sorry!